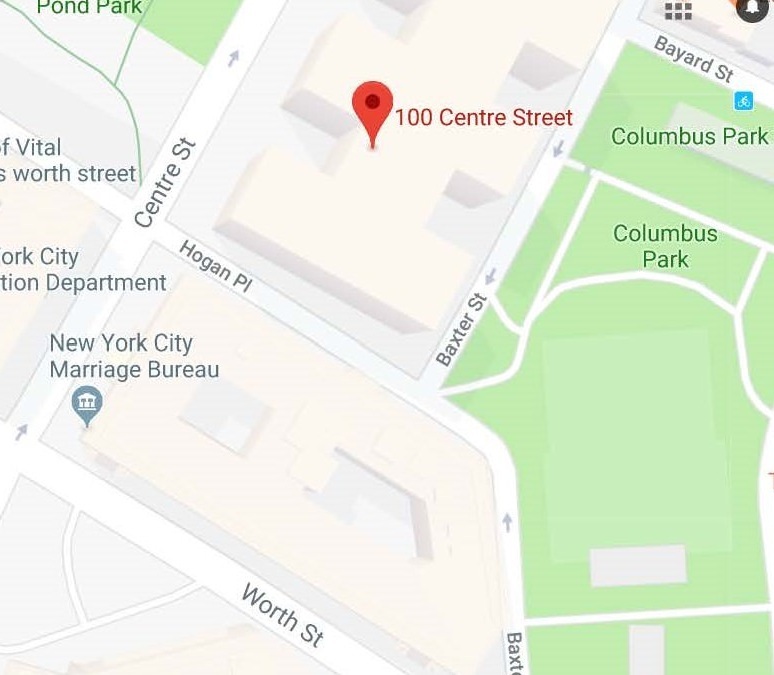 Go to the New York County (Manhattan) Criminal courthouse at 100 Centre Street, New York, New York. Payment can only be accepted at the courthouse, so you must go in person (or have someone go on your behalf). Make sure to bring your driver's license, method of payment and docket (case) number and any court papers listing fines due. Forms of payment accepted are Visa, Mastercard, debit cards, cash or money orders (or attorney checks). If you have a future court date, you must go to the second floor to Room 200: the “ASC part”, which is open from 9:30 AM to 12:45 PM and then again from 2:15 PM to 3:45 PM, Monday through Friday, (except holidays). If you do not have a future court date, go to the Cashier, on the ground floor, Room 128, which is open from 9:30 AM to 12:45 PM and then again from 2:15 PM to 4 PM, Monday through Friday, (except holidays). Let them know that you are there to make a payment. They will ask for your court paperwork, as well as your identification. Then they will confirm how much you have to pay them. Give the court employee the money you would like to pay to the court. If you have any problems or questions, go the Central Clerk’s office, Room 115 on the ground floor. The staff is very helpful and will gladly assist you. For more information, click here for the Court’s website. Make sure to get a receipt of the payment for showing proof of the payment and for your records!! !